I've tried 100's of Anti-virus, Anti-Rootkit, and Anti-Spyware tools over the last 10 years, but it's always good to re-examine your system's security every couple of months. This is also a newer release from Grisoft and is fantastic. It detects everything from hidden NTFS file streams to cookies. Also includes Real-Time protection. Learn more and get the free download at AVG Anti-Spyware Free Edition. Rootkits are definately scandalously cool but extremely dangerous because they run underneath your Operating System so that even Anti-Virus programs can't detect it, yet it can see EVERYTHING that you are doing. AVG has a new anti-rootkit program out that is available for free. Learn more and get the free download at AVG Anti-Rootkit Free Edition. Rootkits are used to hide the presence of a malicious object like trojans or keyloggers on your computer. If a threat uses rootkit technology to hide itself it is very hard to find the malware on your PC. 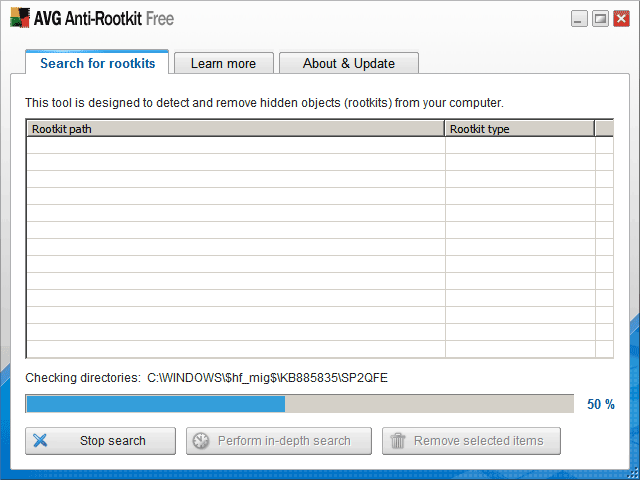 AVG Anti-Rootkit gives you the power to find and delete the rootkit and to uncover the threat the rootkit is hiding. I have used this product for many years on many computers and I love it. It doesn't slow down your computer and most importantly it has kept me safe from virii for many years. And that is saying a heck of a lot considering all the shady places I go on the net. It has wonderful email-scanning, shell-extension scanning, etc.. very easy and intuitive. Get the free download at AVG Anti-Virus Free Edition. They also have a Linux version! Get one of these and learn to use it before you need it! Castle Cops is out of business. ClamWin users should send undetected viruses and false positives to Clam. 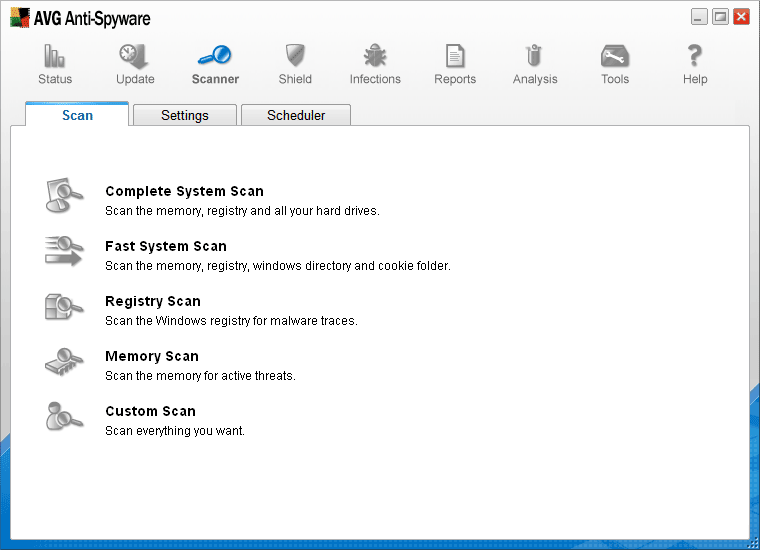 These on line scanners do not replace resident updated antivirus/antispyware scanners. Be patient - they don't do this full time. 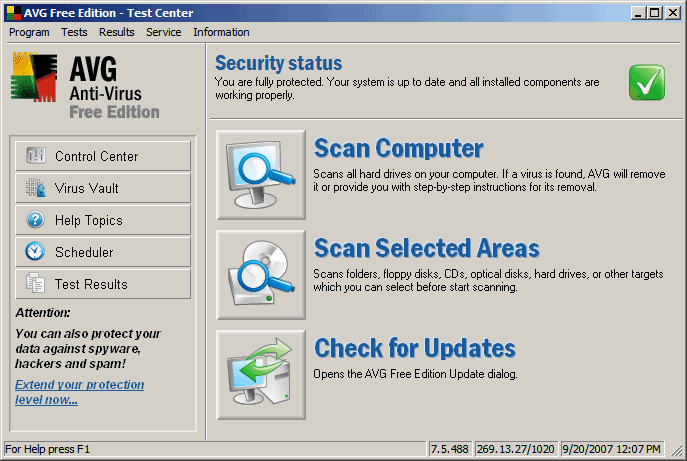 These tools do not replace resident updated antivirus/antispyware scanners. Get experienced assistance if this doesn't work.